When I was a child, the words joy and school were rarely used in the same sentence. Today, as I look around our BCD elementary school building, joyful is the first adjective that comes to my mind. Believe it or not, our teachers put quite a bit of intention into creating joyful learning experiences for our students. Before school even begins, our teachers are busy envisioning and planning to set kids up for a year of productive learning using the Responsive Classroom Framework, The First Six Weeks of School and The Joyful Classroom. Elementary teachers thoughtfully plan for excitement, engagement and meaningful experiences for students in a new academic year. As the year unfolds, we continually reflect on how we can put more joy into students' learning and how we may obtain more joy out of teaching. One of the pillars of a joyful classroom is to create welcoming spaces for students that are learner friendly. Our ES classrooms are student-centered spaces in which our students may work cooperatively and actively participate to enjoy their learning. Cheerful rugs provide a space for morning meetings. Student libraries with comfy pillows, chairs, and couches provide cozy nooks to read, write and reflect. Desks that are clustered in a variety of formats and heights provide students with a choice of where to work so they might move about their classroom responsibly and independently. Children are delighted to see their walls are brimming with their original brilliant work. Seeing their own work on display generates excitement about the curriculum they are learning. A classroom that promotes joyful learning is a safe and welcoming space that students feel has been created just for them to learn and to grow. Children are naturally curious and wonder about the world around them. They find delight in doing something satisfying and are inspired to create. Another tenet of The Joyful Classroom is to provide our students with academic choice and interactive learning experiences. These types of learning structures get kids moving, talking, thinking and collaborating in a variety of ways that accommodate a wide range of learning styles and interests. Recently in third grade, students chose a topic to research about the Boulder History for their Social Studies unit. The children took an historic tour of Boulder on Banjo Billy’s Bus Ride as a part of their learning experience. When they returned to the classroom, the children continued their research and began to write a script for their class play. The children even started to design their own costumes, props and production set. This experience is an excellent example of how academic choice and interactive learning structures promote students to have fun while they learn academic concepts. Every day at BCD brings multiple moments for teachers and students to experience joy in school. By supporting students to find pleasure in learning, we are shaping lifelong attitudes about education and encouraging children to develop intrinsic motivation. 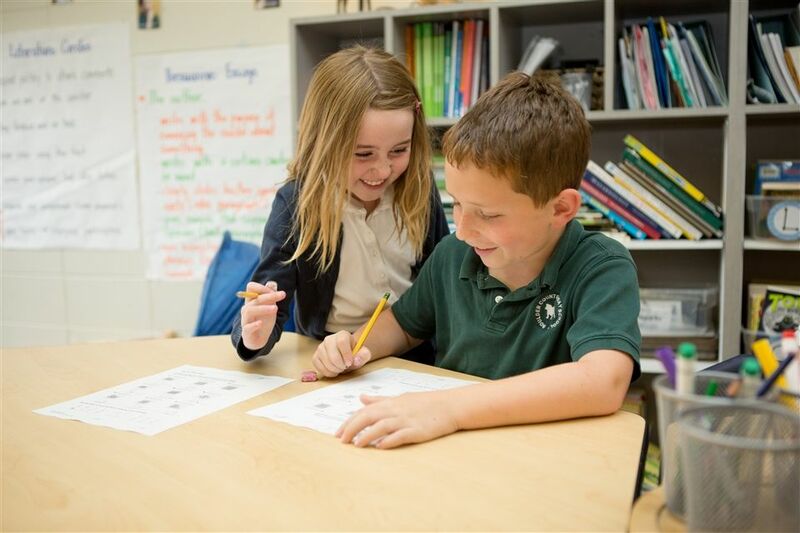 Lastly, modeling and valuing joyful learning in the way we teach and learn every day is a pedagogical practice that stimulates and enlivens academics in our elementary school program at BCD. Request a tour of BCD.